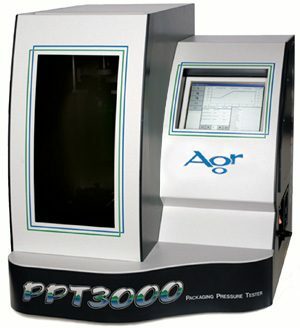 The PPT3000-AL is designed for the unique testing requirements of today’s light-weight aluminum bottles. 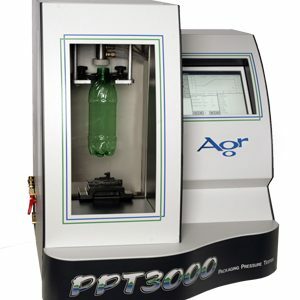 This version offers a dual-pressure testing mode with high-resolution, servo-controlled pressure and volume expansion testing capabilities that make it possible to perform high precision buckle or dome tests on aluminum bottles as well as traditional plastic pressure tests. This version is ideal for beverage producers that work with aluminum bottle manufacturers as well as filling operations that process aluminum and plastic containers in the same facility. This test mode applies controlled internal pressure to a container to the point of base failure. 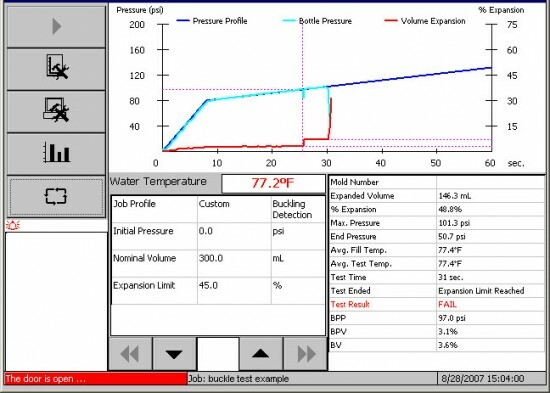 The pressure level at which this occurs is tracked by the PPT3000 system, capturing the pressure value, elapsed time and volume expansion at the point of failure. 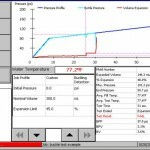 The pressure/volume test-curve is displayed on the user interface with all final test results.